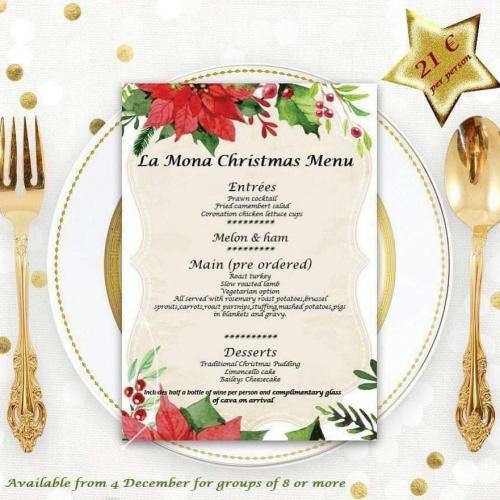 BISTRO LA MONA is a friendly, welcoming family-run bistro based in the heart of the port zone of Jávea offering great value tasty home-cooked fresh food. They are proud of their menu ? there are no frozen burgers here ? 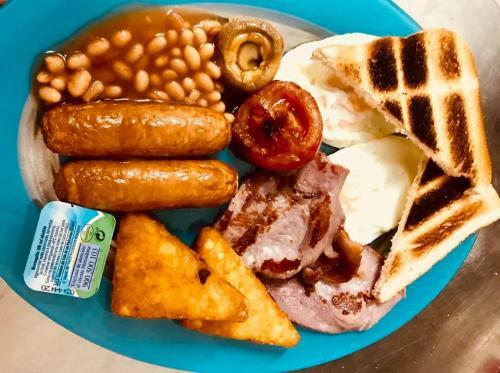 and it is reminiscent of good home-cooking with family recipes such as beef goulash and firm favourites like their all-day English breakfast and gammon as well as regularly changing specials to suit the fresh produce available on the day. And their popular fish in homemade batter served with hand-cut chips is now available every day so there's no need to wait until Friday! As we enter the cooler winter months, the popular two- or three-course Sunday lunch returns and is served between 2.00pm and 6.30pm with a choice of roasted pork, beef or lamb served with fabulous roasted potatoes, fresh seasonal vegetables, Yorkshire puddings and the tastiest home-made gravy. It's so popular that reservation is recommended! 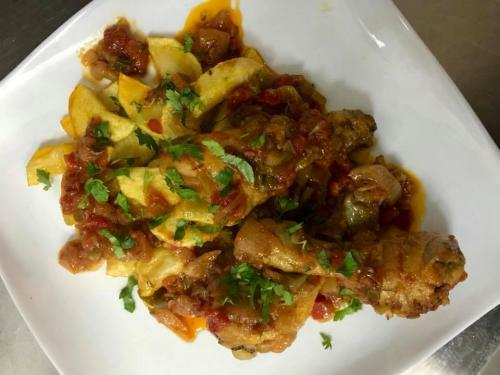 Every Wednesday Bistro La Mona offers a special 1-euro tapas menu which is available from 12 o'clock. Take away food is also available and you can call to place your order and will receive a return call when it is ready to collection. And the great food is accompanied by a range of cocktails with some unusual additions to the standard list. 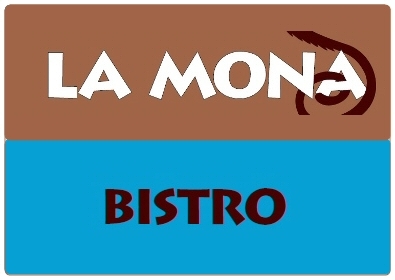 Regular customers can consider themselves part of the family at Bistro La Mona and their loyalty is rewarded with their very own loyalty card on which they can collect a number of stamps to earn a drink on the house. If you don't have yours yet, ask for a loyalty card during your next visit. Bistro La Mona also offer regular live music and are able to show UK sport on TV; keep an eye on our What's On Guide for more information. 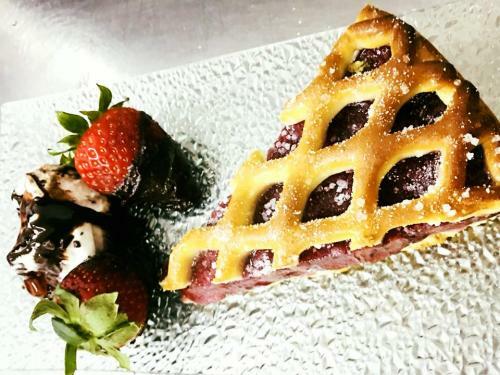 Online reservation can be made on Trip Advisor via The Fork or you can call, text of WhatsApp on 634-343-581. Don't forget to mention javeamigos.com when you pay a visit to Bistro La Mona. Lovely friendly venue with good food. Well worth a visit. Lovely people. Good Food. Great Value. Lovely friendly family restaurant serving very good food. Highly recommended. Our favourite restaurant good food and lovely people who make everyone very welcome. Darien Bowie - Sep 2018 - Very nice addition to Javea! Excellent food, friendly owners, great value for money! Abbi Philpot - Sep 2018 - Fantastic food, great service as always a lovely setting.would throughly recommend this place to any one passing or even to make a special visit. Generous portions at great prices and child friendly. Well done guys you have done a great job. Alexandru Robert - July 2018 - Great location, great food, lovely staff and unbeatable prices! Ruben Ivars Martinez - July 2018 - Great food, lovely service, would definitely recommend. Gillian Montieth - Jan 2018 - Love this place! Food is top notch (try the beef goulash) and lovely family bar. Andy Keen - Nov 2017 - Run by lovely people and the tapas are absolutely fantastic. Great food at really good value for money prices. Lovely street location, great for people watching. Most definitely will be coming back. Thank you for a lovely evening. javeamigos.com has taken all reasonable care to ensure that the information contained in this directory is as accurate as possible on the stated date of publication or last modification. The use and reliance of the information is entirely at your own risk.